Erich Weiss does not have any MLB stats for the season. Draft: 2013, Pittsburgh Pirates, 11th rd. Spent entire season with Triple-A Indianapolis after attending big league camp as a non-roster invitee...Set career high in slugging percentage while matching his career high in home runs...Was honored as Indianapolis' Gold Glove Award winner prior to the last regular season home game after recording a .984 fielding percentage (six errors in 365 total chances)...Made 55 appearances at second base, 30 at third base and 10 at first base...Connected for first Triple-A home run on 6/23 at Louisville...Batted .356 (21-for-59) in 18 games from 6/28 to 7/23; the second-highest average in the International League during that stretch...Produced a .309 batting average while reaching base safely in 24 straight games between 6/16 and 7/17; tied with Jacob Stallings for the longest such streak by a Tribe player for the season...Was named the International League Player-of-the-Week for the week of 8/21-27 after hitting .462 (12- for-26) with four doubles, three home runs, eight RBI and seven runs scored...Hit .338 (25-for-74) with 12 extra base hits and 15 RBI in 25 games during the month of August...Hit safely in each of his four postseason games against Durham. 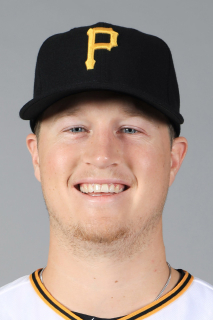 February 28, 2019 1B Erich Weiss assigned to Pittsburgh Pirates. July 29, 2018 Indianapolis Indians activated 1B Erich Weiss from the 7-day injured list. July 24, 2018 Indianapolis Indians sent 1B Erich Weiss on a rehab assignment to West Virginia Black Bears. July 3, 2018 Indianapolis Indians placed 1B Erich Weiss on the 7-day disabled list retroactive to July 2, 2018. Right hip flexor strain. January 22, 2018 Pittsburgh Pirates invited non-roster 2B Erich Weiss to spring training. April 5, 2017 1B Erich Weiss assigned to Indianapolis Indians from Altoona Curve. January 9, 2017 Pittsburgh Pirates invited non-roster 2B Erich Weiss to spring training. March 21, 2016 IF Erich Weiss assigned to Pittsburgh Pirates. July 31, 2015 2B Erich Weiss assigned to Altoona Curve from Bradenton Marauders. April 7, 2015 2B Erich Weiss assigned to Bradenton Marauders from West Virginia Power. March 20, 2015 2B Erich Weiss assigned to Pittsburgh Pirates. April 2, 2014 2B Erich Weiss assigned to West Virginia Power from Jamestown Jammers. July 11, 2013 3B Erich Weiss assigned to Jamestown Jammers. July 10, 2013 Pittsburgh Pirates signed SS Erich Weiss.